What do you get when you put Meat Loaf, Blondie, and Alice Cooper in a blender? You get the movie Roadie. 1980 was a weird time for cinema. If you think about it, each new decade seems to take a few years to find its own identity and separate it from the previous one. Maybe that’s why Alan Rudolph’s 1980 movie Roadie seems to have one foot firmly planted in the late '70s country music scene and the other one on the cusp of New Wave and early '80s pop. The movie opens with Meat Loaf (Aday) as Travis W. Redfish, a truck-driving electronics whiz who can fix or rig just about anything. Shortly into the movie, he assumes the titular role of the roadie who tours with bands and sets up their equipment and gets concerts ready to roll. In fact, he’s so good at his job that he earns the reputation of the Best Roadie Ever. And for no apparent reason at all, Art Carney plays Meat Loaf’s dad. I suspect that Carney wanted in on some of the action that Jackie Gleason got from his appearance as Buford T. Justice in Smokey and the Bandit. Kaki Hunter is Lola Bouilliabase, the head groupie of a band touring the country who is absolutely obsessed with Alice Cooper and who believes that her destiny lies with the rock singer. Meat Loaf ends up riding with her on her quest. 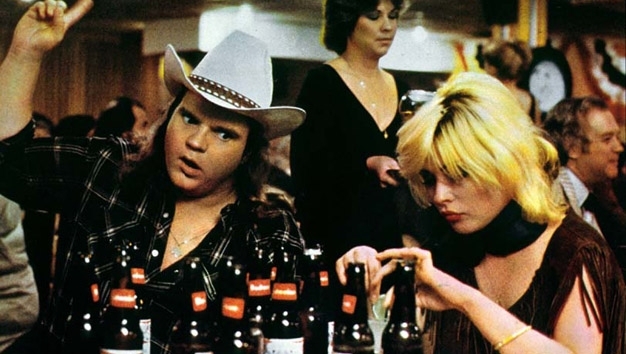 All this is just enough plot to get Meat Loaf and Kaki Hunter into some shenanigans as they make their way across the country meeting bands, having adventures, and ultimately speeding toward their encounter with Alice Cooper. That’s really about it. There’s a lot of stuff that happens in between the opening and closing credits, but there are no plot intricacies that I need to protect you from and no deeper meanings or discoveries to be had. There are a few bar brawls, a lot of beer, some musical performances by an incredibly diverse bunch of acts, and lots of Alice Cooper. The director, Alan Rudolph, was a protégé of Robert Altman, and was assistant director on The Long Goodbye and Nashville (the Altman film, not the current TV show). Obviously because of this, he falls into the same camp as Altman and has directed a lot of movies that take an existential look at the lives of a range of complicated and fully realized characters as they go about their ordinary business. This makes Roadie all the more strange and unique because there’s nothing particularly complex about ANY of these people. Meat Loaf has matured into some lovely roles in the last ten or twenty years, but he doesn’t seem to be acting here. He’s just being himself. What you see is exactly what you get in this movie, and what you get is a strange brew of earnestness, music, and redneck comedy. When I first saw Roadie several years ago, I wasn’t sure what to make of it. I’m not all that sure that the director Alan Rudolph knew what to make of it either, because it’s ALL OVER THE PLACE. Sometimes it attempts embarrassing slapstick. Sometimes it goes for odd situational comedy. Sometimes it seems to be about the plight of a good old Texan boy as he navigates the weirdness that is Austin. One thing is for certain: Alice Cooper DEFINITELY knows the movie that he’s in. His shtick is in full force and he practically winks at the camera through his scenes. The consummate showman, Cooper shines like a diamond in this odd little showcase. The music that comprises the concert scenes from the movie is all over the place, too. Representing country are Hank Williams Jr. and Asleep at the Wheel, here for your typical Austin/outlaw and alt-country offerings. Blondie represents pop. Roy Orbison represents…whatever Roy Orbison represents. Hitting high notes while wearing sunglasses, I suppose. Even Don Cornelius, the driver of the Soul Train, makes an appearance in this movie. 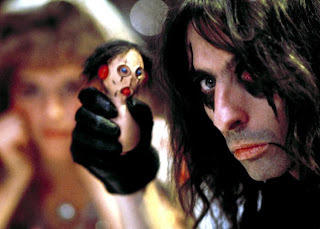 And let’s not forget that shock-rocker Alice Cooper is the glue that holds the whole thing together. I suspect that the movie is a collage made from the filmmaker’s record collection, but there’s no way to confirm that. So maybe the movie can be forgiven for being all over the place. 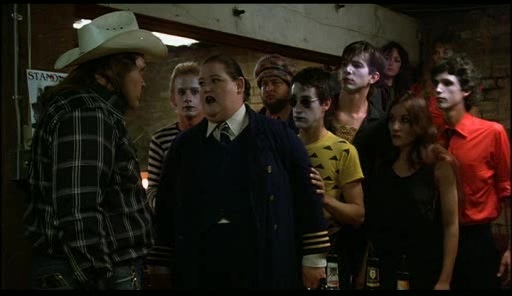 Since that first viewing, I’ve come to appreciate Roadie for the oddity that it is. There’s truly nothing quite like it anywhere else. The schizophrenic absurdity initially wore me out and turned me off. I thought I hated the movie for a long time, and if you watch it you may find that you have a similar reaction. The writers of the movie are two guys named Big Boy Medlin and Michael Ventura. If you haven’t heard of them, it’s because this is all they’ve really done. Big Boy Medlin is now involved with those “live from the red carpet” things before major awards broadcasts and Michael Ventura only has one other film credit. I think it’s a safe bet that neither of these guys knew what they were doing when they wrote this movie. And it shows. But there’s something to be said for schizophrenic and for a movie being so unique and strange that you just can’t stop thinking about it. 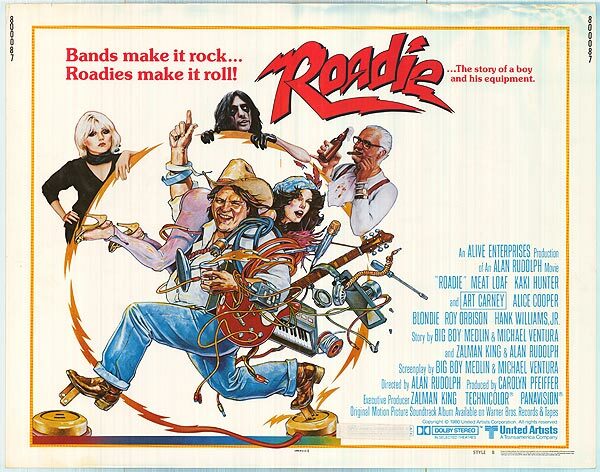 Roadie is not a great movie. It’s not even a particularly “good” movie, if we’re meriting films based on their acting, storytelling, writing, or lasting legacy. In fact, FINE! I’ll admit it: it’s really bad. But with a few years on me and a few years since that first viewing, I’m more able to see what this movie was attempting to do and appreciate it on its own terms. Maybe Alan Rudolph knew what he was doing after all. 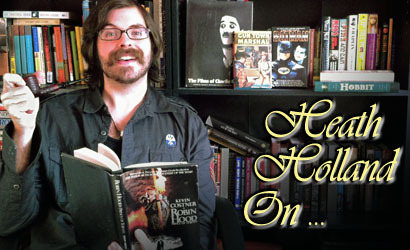 Maybe he made exactly the movie that he set out to make…but I doubt it. If the movie is a train wreck, then it’s a train wreck that you should see, and maybe you’ll end up celebrating it with me. Because there are far too many cookie-cutter movies out there which are easily forgotten after the credits roll. I’d rather celebrate originality, and originality is the name of the game in Roadie. Regardless of what the intentions of the people involved were, Roadie stands as one of the WEIRDEST and most UNIQUE movies to come out of the '80s. And that’s really saying something.